Have you ever had your day start your with a search for “heating repairs near me?” As a business owner, one of the primary responsibilities you have is taking care of staff welfare. The best and effective way to achieve it is by creating conducive work environments. One way to do it is by having a proper commercial heating and ventilation system installed. Workplace codes of safety and health standards outline it. Employees are more productive and comfortable with indoor temperature control. Like with home-based heating systems, commercial HVAC systems can breakdown. The furnaces run for longer hours, given that most people spend their day at work. The systems also drive up business-based energy consumption costs. With energy saving measures, you can reduce monthly overhead and increase heater efficiency. Either way, the need for furnace repair does come up. You want a company experienced in working with commercial heating and ventilation systems. 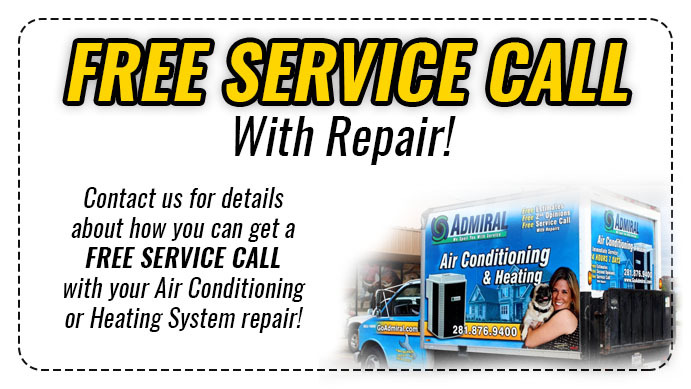 Houston Admiral handles commercial heater repair, installations, replacements, and maintenance. Get in touch with us through https://goadmiral.com or call us on the phone at 281-876-9400. The main heating problem that commercial premises face relates to system sizing. Most tend to oversize their HVAC equipment. Some undersize their systems, too. Heating system size should equate to the heating requirements. A heating professional can recommend an appropriate system after making assessments. The professional contractor decides the appropriate size based on the available space and load calculations. 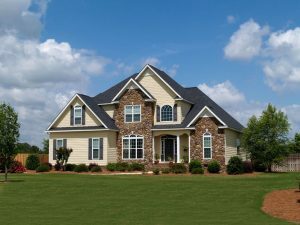 These two factors help in determining the best furnace size for your establishment. Commercial HVAC systems need to meet the ACCA sizing and installation guidelines. Sizing factors in the ducting design. A professional can again make recommendations on this after initial assessments. The right heating system in the correct sizing enhances heating efficiency. You do not have to keep searching for “HVAC repair near me.” With the right heating system, inefficiency related breakdowns are minimal. Businesses use heating systems for longer hours. The extended furnace operation results in increased fuel use and energy consumption. The utility bills related to running commercial HVAC systems are quite high. Like most homeowners, the typical business wants to cut back on their heating costs. Commercial buildings can cut down on heating costs using high-performing HVAC systems. Buying a furnace with a high-efficiency rating helps. It is also a step towards reducing operational costs. Oversized furnaces are less efficient, owing to their incorrect sizing. The problem gets solved with a heater in the right size. High-efficiency units come with lower running costs and better lifespans. Keep in mind that part-loading affects efficiency. Heating equipment operates at the rated efficiency level at full load. Most HVAC systems feature intentional oversized designs. The aim of oversizing is to meet safety requirements and handle pickup loads. The oversized systems do not operate at their full capacity. Most of these heating systems work at 50% less efficiency. Take advantage of off peak utility rates offered by utility companies. Make use of energy management systems to shed electric load during peak periods. Get the right contractors for the job when looking for “furnace service near me.” Good commercial heating contractors connect and install heating equipment as required. Make use of the best heating design to ensure efficiency. 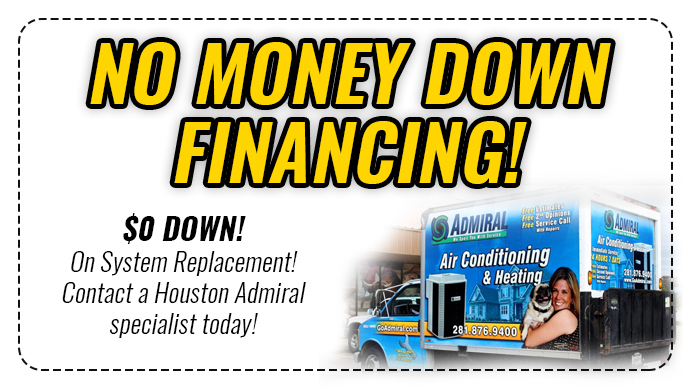 Houston Admiral is the right company to handle your commercial heating needs. Get us on the phone at 281-876-9400. Visit https://goadmiral.com for more about their commercial heating services. Getting the best commercial heating system for your company is a massive undertaking. The costs is significant. You want to guarantee that you are getting value for your investment. Getting commercial furnace contractors involved at the buying stage pays off. Their many listings of heater repair company’s online, but you need the right one. Much like looking for residential heating contractors, you need an experienced company. The heating systems company must have the required experience working on commercial furnaces. Ask for recommendations from other businesses. Recommendations should be your first option at finding a good heating company. Go online and research different commercial heating companies using the Better Business Bureau. Give the BBB a call to get more information about a particular furnace company. Have a look at your state’s board of contractors as well. Interview two to three contractors to narrow down to the best one. Ensure that the business you end up selecting has proper licensing and certification. Home heating system does not function, it makes the residents uncomfortable. A commercial heating system that stalls can bring business to a stand still. We making sure that you get the best system and keep it running is crucial. You need a solution at hand for that search for “emergency furnace repair near me.” It is inevitable that some furnace breakdowns catch you off guard. It helps to work with one heating systems company from the installation point. The contractors have a familiarity with your heating system and its needs. What it means is that they can troubleshoot any issues with it and fix problems that come up. You want any furnace systems your business has to get solved in peak time. Some heating companies offer service contracts that you can take up. It caters for the maintenance needs of your heating system. We that company that provides 24-hour and seven days a week services. You need a heating company that responds to your repair needs promptly. The quick response gets rid of lengthy down times to keep your business running. Why Heating Repairs Near Me?